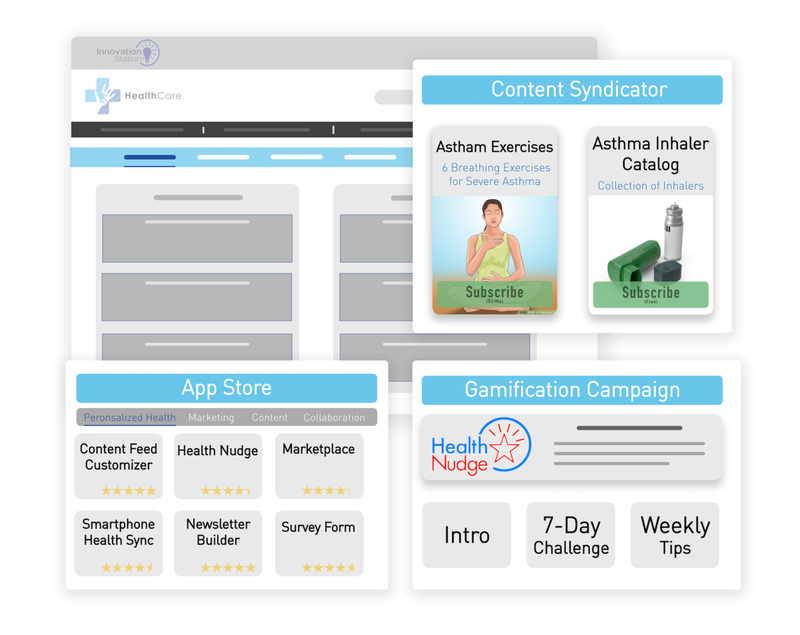 Innovation Station® is a personalized healthcare information delivery platform, it enables healthcare organization to strengthen their digital presence and personalize engagements with customers. 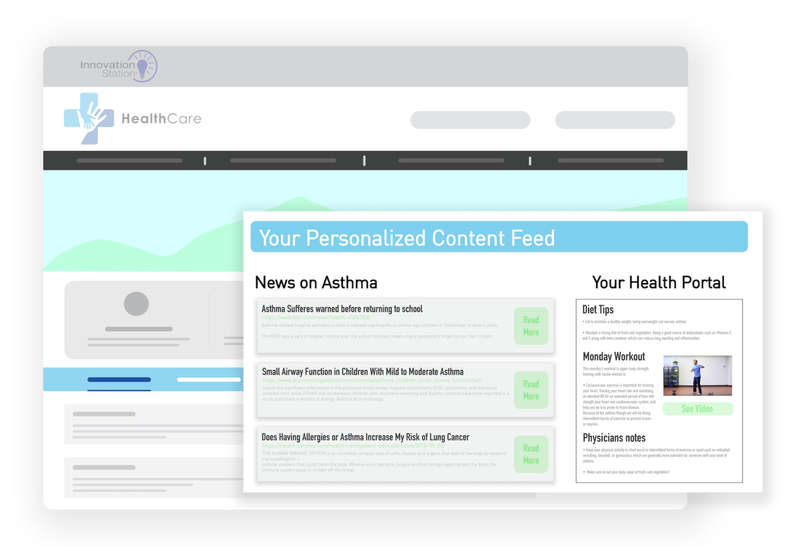 Innovation Station® allows for each user to have a fully personalized content feed based on their specific healthcare needs. With AI and machine learning we are able to fully automatically load their feed with what they’ll want to see. Innovation Station® is integrated with WordPress and any email service provider, you can instantly and automatically load brand new pieces of content to your platform with the quick send of an email. 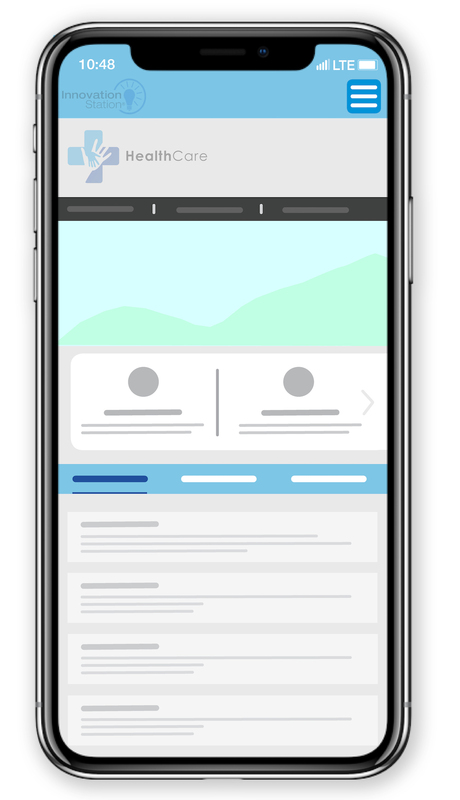 Mobile friendly and cloud-based Innovation Station is optimized for all devices, whether you are on a desktop, laptop, tablet, or mobile phone, screen size and functionality will automatically adapt for a seamless user experience. Uniquely designed to meet the needs of the healthcare industry including HIPAA compliance and customizable workflows. Publish, edit, search and remove content across digital properties. Automate and track approval process to save time, improve management, and mitigate risk. Cloud-based, responsively designed, and mobile-friendly enabling access from any authorized connected device. Send, receive, store, and publish across the web via an API, batch uploads, and email – including a newly available WordPress plug-in. Make it fast and easy for users to find what they are looking for – even before they know they need it. Make it fun. HealthNudge app transforms everyday tasks into achievement activities. Users can track progress, earn points, and share successes. Upload, store, find, share, and syndicate any file type (documents, images, presentations, videos, audio files, text files, pdf, photos etc.). Customize workflows, information governance, business rules, and branding to meet your unique needs. Strengthen your online presence and personalize digital experiences using Innovation Station. Click the “Demo Request” button to schedule.